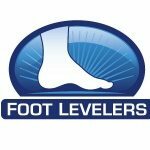 December 18, 2012 — Foot Levelers donated all the proceeds from their 60th Anniversary Seminars back to the chiropractic profession, in honor of their anniversary and serving chiropractic for 60 years. Thirteen chiropractic colleges will be benefitting from the $36,000 Foot Levelers will be donating, and the Foundation for Chiropractic Progress (FCP) will receive more than $10,000. For each attendee at the seminar, $100 of their registration fee was donated to the college of their choice and Foot Levelers matched this with an additional $100 to that college. Additionally, Foot Levelers donated the balance of the proceeds to the FCP. Foot Levelers’ last 60th Anniversary Seminar took place Dec. 1-2 in Newark, N.J. There were three Foot Levelers 60th Anniversary Seminars, which offered 12 continuing education credits (CEUs) and covered a wide variety of topics taught by Dr. Kim Christensen and Dr. Terry Yochum.